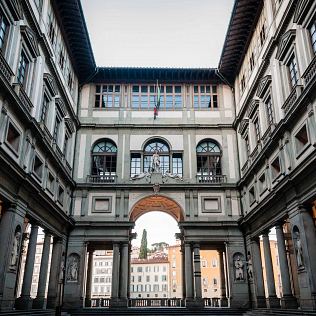 From June 6th to September 26th, every Tuesday evening, the Uffizi will be open until 21:50. Every Tuesday night, the Gallery′s spaces will host Uffizi Live, a festival of art and performances, which had a great success during last year\'s summer. In these evenings, the museum\'s artworks will no longer be static objects to observe, but they will ″dialogue″ with other arts. Concerts, performances of visual and body art, dance, theater are also planned. Guests are Italian and from abroad. Exhibitions and performances have always features that relate them to the artworks in the Gallery. The last show, for example, by the ″Giacomo Mercuriali″ collective in Venice, uses art and technology to allow the public to ″listen″ to Botticelli′s Spring. Through a special instrument, artists will play a concert of insects and natural elements: visitors will feel inside Botticelli′s work.